Cloister Garden in the centre of the Cathedral. Adjacent to the Cathedral on its north side are the Cloisters, the Cathedral Hall and Cloister Hall. These are the remains of St Mary’s College, founded in 1365 by Bishop Houghton, to house a master and seven fellows, whose duties were to raise standards and serve the Cathedral. There are limited traces of the original Cloister which were already in ruins by the late c16 or early c17. However, a renovation of the Hall in 1965-6 and the recent recreation of the Cloisters themselves have provided the Cathedral with spaces with which to respond to the demands of the twenty first century. Mainly built on the original footprint, the West and East ranges are of two storeys. 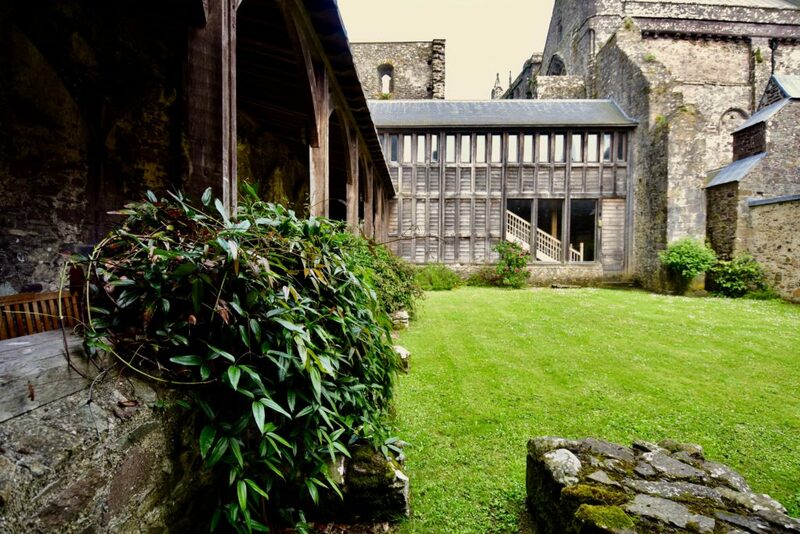 The original West cloister was of two storeys, whereas the East cloister rose to three, the remains of which can be seen above the new range, in particular the beautiful arched window. 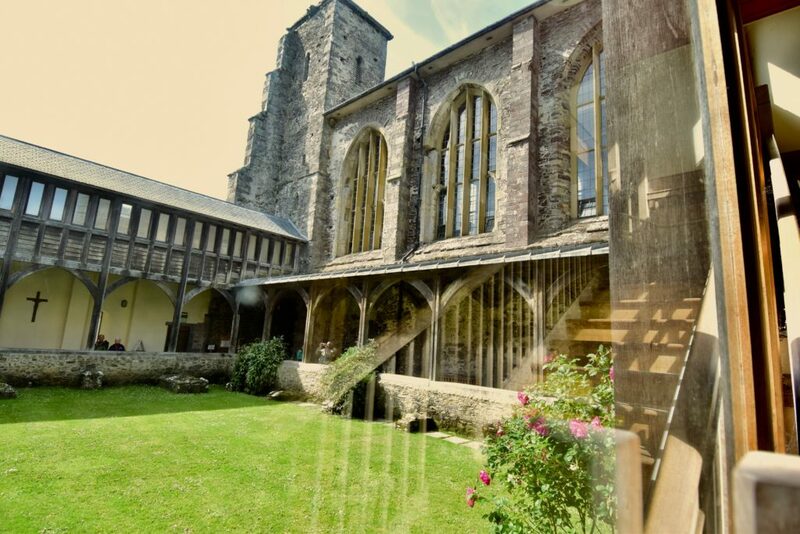 These ranges house meeting rooms which enable the Cathedral to offer retreat, parish and education facilities. 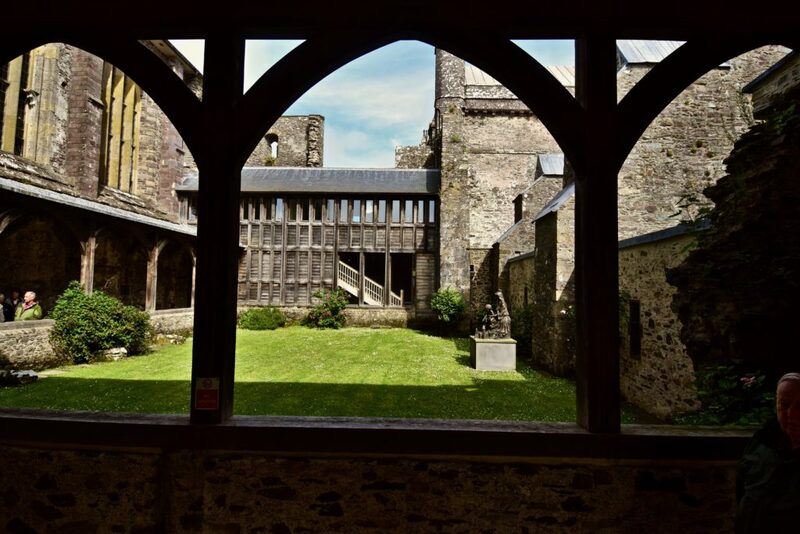 The East and South cloister walks are enclosed and contain the new Treasury, and also lavatories and disabled facilities, and give access to the North side of the Cathedral. Visitors can only view over the wall from the cloister walkway. The reason this isn’t open is that there is step down in to an often slippery area of stone and lawn. The Cathedral is unable to man that part of the complex safely.